There was commotion in the kitchen! Only three of us were there. I and my two younger brothers were experimenting preparing an ‘Anardana Churan’ on the Primus stove when I was a student in 6th standard. Our mother was away and what better time to try out a recipe in the kitchen! That is perhaps the earliest memory of entering the kitchen for independently experimenting with the cooking. As time progressed we practiced more and learnt to cook things ranging from ‘aloo paratha’’kabuli chana’ and ‘rajma’ and by the time I was in 8th standard we could pretty much cook most of the basic things and would be given the liberty to try a few things especially on Sundays! Our relatives found it amusing that as boys we could manage to cook fairly decent fare and would at time tell our mom that she had trained the boys in a domain where most girls shy away from kitchen at that age! The credit for this also went to our father whom we would observe cooking sometimes things which were considered to be specialties! As our mother was a teacher in a school she would return home later in the afternoon and I was the first one to reach home by 1.30 PM. The lunch was prepared, and all I had to do was to warm it! The temptation to try out different things like ’potato chops’, or ‘fried potatoes’ would result in an additional dish besides what was already cooked. 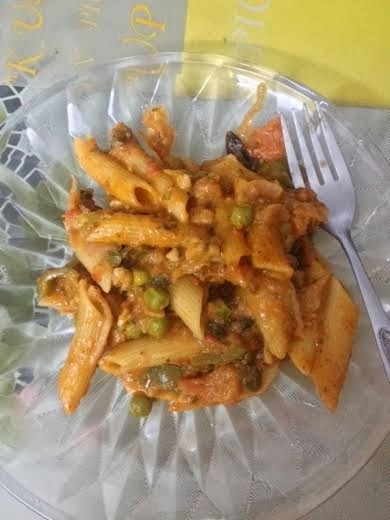 There were times when my uncle who was serving in Army would come and spend a few days with us and while mother was away, we had someone else too to savor what we tried in kitchen! The love for cooking soon crossed over from traditional to regional as mom learnt from her friends things like making ‘upma’,’ idly’ and ‘dosa’ besides various sweets prepared on festivals! So without joining any formal cooking classes we got a hang of preparing some of these dishes too! While studying at college the practice continued intermittently when time permitted. One fine day after graduation I packed up for joining the Navy and lo and behold all the experiments came to a grinding halt, except preparing tea occasionally! Good times rolled back again as the training at the Academy completed and I was posted in Jamnagar. The food in the mess would invariably be good but soon the monotony set in. The hands itched to try out cooking but while staying in the mess it was not possible to have a gas or cooker! I designed an electric heater in the workshop that could cook and then once a fortnight instead of eating breakfast or lunch in the mess, I would prepare , ‘Upma’ or ‘Pulao’ and treat my cabin mates and a few other bachelor officers who got the whiff of what’s cooking! After getting married, I got a teacher at home in form of my wife from whom I learnt to cook Continental, Italian, Chinese and few more dishes and realized that the rewards of this hobby are innumerable. There were occasions when I was alone after marriage in different places where Navy took me, but had never to worry about the food! Once, while in Pune, our maid came in the afternoon and saw that I was eating a full-fledged lunch and suggested that she would prepare ‘chapatis’ but I told her that I could manage! Now, that my daughter is married and stays abroad, suggests me to switch over to healthy cooking so am a student once again learning low calorie diets involving no frying! On one of the weekends, I told her that I prepared ‘Soya Kathi Rolls’ for breakfast and for a change they did not involve any frying but all done in an oven! Some things one learns just out of sheer interest pays rich dividends later in life and comes handy on rainy day especially when it comes to cooking. This is a Marvelous post! Well done you! All boys should be able to cook! Oh my God! Rahul, I am super impressed. I am taking the first flight to Delhi so I can sample your amazing culinary skills. You are indeed a man of many talents. These are really looking amazing, and kudos to you for making. Very impressive, congrats on the 200th post and for being a great chef! I haven't heard of multigrain idli, have to check it out now! If cooking is a passion, it can be a stress buster for anyone. I too am impressed, your dishes look amazing dear Rahul. Congratulations on your 200th post! 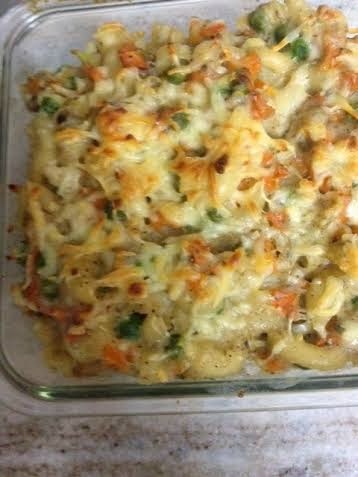 Now you have made me salivate..That baked macaroni looks delicious!! OMG!!! YUMMMYYYYYYYYYYYYY post. This made me hungry even after a heavy breakfast :). Cooking is a very great art :D and u seem to have mastered it all and still learning :D Keep them coming!!! Wish I could taste those yummy dishes via this blog :) #SLURPPPP Mouth watering! Ramya, you know the wish list to learn things is a long one so the quest is still on :) Hope will be able to treat you too one day! Thanks a lot! Oooh sooooo cool You are a cook! I am no good at cooking! Wow, Congratulations on the 200th post! And I am really impressed with your cooking. It is lovely that you are becoming health conscious and cooking healthy. Kudos to you! Congrats on your double century. This post was very interesting but also frustrating for me because i am just an average cook and that too out of necessity.But i wish i had your kind of attraction for cooking though it is not likely. Everything looks so delicious, I love experimenting with different types of foods as well, Indian cuisine is amongst my favorite, although I think in India a much larger variety of spice is used. You should start a cooking section to your blog! Congrats on the 200th post. Hope you have a wonderfully relaxing weekend! Thanks for the kind offer! Is this really your cooking? First let me congratulate you for your 200th post! Keep entertaining us with your interesting post, Rahulji! My husband also tries new new recipes at home. His favourite channel is 'Food food'. I asked him to read this post of yours! He enjoyed knowing that another male is as enthusiastic as he is in cooking 'healthy' foods! 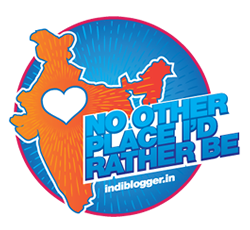 Thanks a lot, Sandhya for ardently supporting this blog! So I have company when it comes to try out cooking! I too watched' Food Food', various shows by Sanjeev Kapoor, Tarla Dalal etc... from time to time! Looks great. Thanks for sharing the photographs. A 'high five' to that, Ashwini! Am sure you will agree that it is fun to cook and try new things when no one is around to watch ;) Yes blogging is also high on the list ! Hearty Congrats to you on completing 200 posts... It's great to be here and reading you. I was always jealous of men who cook..rather their wives :P you should also post the recipes, Rahul ji. Like you, my uncle about whom I have written also like to experiment but not as big as a cook like you are. :) And congratulations on your 200th post ...keep writing..
Saru, you and Alok have a standing invitation to come anytime you are here in India! Treat of home cooked stuff promised! Thanks a lot for your best wishes! Pictures are so tempting..looks like from some restaurant...you are a good cook..and congratualtion for completing 200 posts..keep writing..
Congrats on your 200th post. The dishes look yummy. Your wife is lucky. She had a good student. The pictures are so tempting! 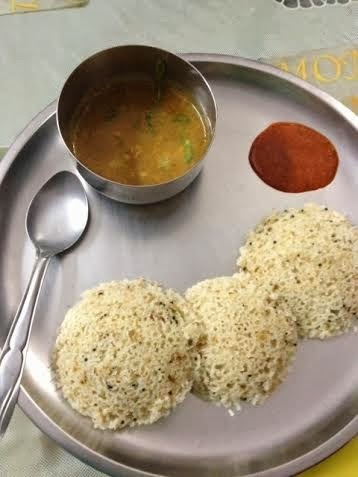 I think I should try multigrain idli...It looks so great and nutritious! Congrats on 200th post!! Must try them, them come out very well, Valli:) A big thanks for your support! Congrats on the double century Rahul ji. It is great that you can cook so well. I myself am learning some cooking. Currently I am making non-circular chapatis (unique shape every time), but I will improve with practice. It is funny how we have all sorts of stereotypes around what men and women are supposed to do. The only thing is that we men cannot be (biological) mothers. Everything else is silly. Those look like some mighty tasty dishes! I definitely need to expand my culinary horizons. Welcome to my blog, Stephen! Thanks for your kind words! Food is something that one life time is not enough to learn about! Rahul, after I moved to a maidless situation, I discovered that I quite enjoy cooking and find it cathartic. Of course, I've convinced my husband that he's a better cook than I am and look forward to weekends when he takes charge of the kitchen. 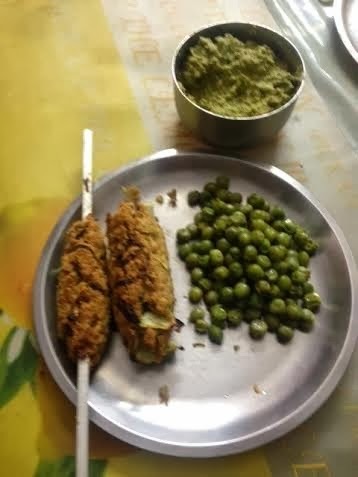 Thanks Rama:) BTW am just an ordinary cook but would welcome you any time to come and enjoy a bite! Thanks Ekta but am no great chef! Just like to try a hand! You and two younger brothers in the kitchen, so nice memory! I can imagine that enjoyment. And you are a super chef now, it's a good hobby for your health,too. Yeah Sarah, a galore of memories! I can cook and am no great chef:) A hobby that I enjoy for sure:) Have a lovely weekend! Cooking is a an art in itself. Only a good cook can spring up with such great dishes. Mouth Watered!! Yeah cooking is an art but also an inclination to learn can make some difference! Thanks a lot Akanksha! Very impressive Rahul. The pictures speak for themselves. I come from a family where men and women all love to cook. I learnt proper cooking only after my marriage, trying out dishes with help of friends and close relatives and various cook books. My husband is very good in cutting vegetables in different styles to suit different dishes. He also cooks very well and is ever ready to take over the kitchen duties. My son too who is abroad has started cooking quite well, and he has also become a vegan. We have also opted to cook healthy for many ears now. No more trying out tempting samosa, katchouri, sweets and cakes, trying to stay away from all these items as much as possible, indulging in them only on rare occasions. Those days it didn't matter what we ate, we were always healthy, because of the work we had to do and the amount of walking we did, we had never heard of the word diet. Your idlis and macroni look delicious. I also love cooking, keep posting pictures in FB. Wow Rama, it is great to learn that everyone in your family including husband and son like to cook! It is a welcome change for the wife and a big help to household if no one shies of cooking:) I know you are a fitness freak and so the inclination to eat fried things is pass'e now! A big thanks for your words of appreciation! Jaishree, I believe in trying to keep in tune with the times even if it means making some changes:) Thanks a lot for such a nice comment! Your pics are making me hungry! Looks great. I always look forward to a kitchen experiment. It is a great surprise. True, Lady Lilith! It is fun to experiment in kitchen! Hope you and your loved ones spent a wonderful Valentines Day! That is great that you know to cook. Very few South Asian Men that know to cook. I wish my husband knew atleast to make a cup of tea for himself:). That would really be nice on a Sunday morning. Wow!! You started cooking at such an early age!! Do write Radhika, about your experiences! It would be nice to read:) Thanks a lot for your best wishes!